Providence Park, the home of Oregon’s beloved MLS club Portland Timbers, is tucked away below ground level in the neighborhood of Goose Hollow. The façade of the stadium is covered in ivy, and there’s an old-school announcement board accompanied by an old-fashioned clock at the entrance, giving things a certain nostalgic feel despite it undergoing renovation just a few years prior. The original venue was constructed nearly a century ago, and still fits in seamlessly with the rest of the neighborhood, which is quite an accomplishment given its 21,144-person capacity. On match days, nearly every seat in the stadium is filled. The game I attended against Sporting KC was no different. The Timbers have sold out 111 consecutive matches as of April 16, 2017, a streak that dates back to the club’s inaugural MLS season in 2011. Portland has 15,800 season ticket holders for the 2017 season, and there’s a waiting list of more than 13,000 fans. I sat in the upper deck on the west side of the stadium, a perfect nexus of past and present: To my right was a gym with large windows so patrons could watch the match while they worked out; above me, the roof and beams were made of homely wood. 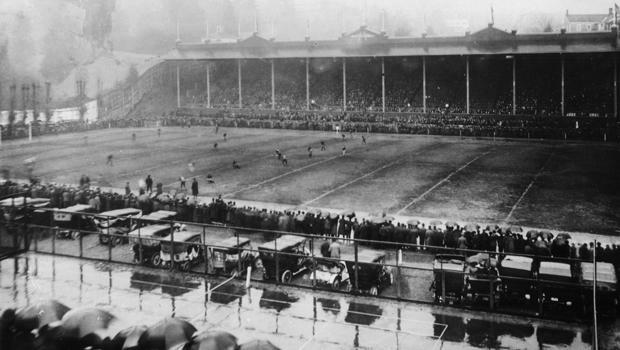 Originally built in 1893, Providence Park was once just a field and a small grand stand for a variety of sports. It was later converted into a full baseball stadium, which now serves as the foundation for its current version—the home of both the Timbers and NWSL team Portland Thorns FC. 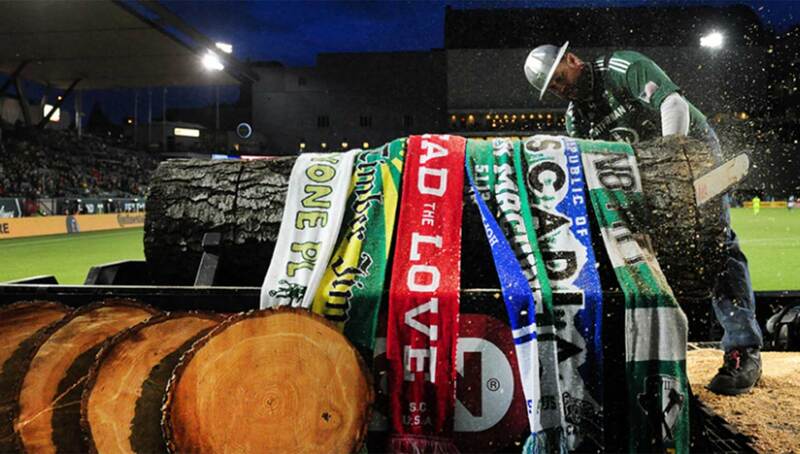 The Timbers recently pledged $50 million to add 4,000 seats for its burgeoning fanbase. Today, the more casual fans sit on the east and west wings, while the diehards congregate on the north side, but it’s safe to say even the informal attendee has a good deal of knowledge and passion for the game. 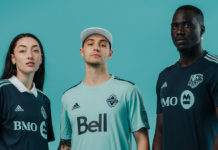 In fact, it’s not unusual to see locals sporting Timbers gear in town, and come game day, you can be assured every local bar will be playing the match on TV. All this might be strange to an outsider. Portland has an NBA franchise, after all, but it’s clear that soccer is a thriving sport that’s equally if not more relevant to this city than the Blazers. Soccer first arrived in Portland on the banks of the Willamette River via English sailors in the early 20th century. Following the formation of the Portland Association Football Club and several other iterations to follow, a league called the Oregon Soccer Football Association came to fruition. Ironically the first mention of the name “Timbers” in Oregon occurred when the Timber Barons of Longview, Washington, became members of the league in 1926. The Timbers would go on to make the NASL playoffs in 1978 and 1981 as well. Add to that the blossoming Cascadia rivalry, which pits the Timbers against the Seattle Sounders and Vancouver Whitecaps every year, and you got yourself a game. Portland briefly flirted with the Western Soccer League in the early 90s before settling in the United Soccer League (USL) in 2001. They then thrived during their time in the USL, recording eight winning seasons in 10 years, including regular season championships in 2004 and 2009, before joining Major League Soccer (MLS) in 2011. From the club’s birth in the NASL to their dominance in the USL to the current MLS era, fan support has always provided the Timbers with a distinct advantage. The match-day experience in Portland is unparalleled in U.S. soccer, with the atmosphere and crowds more reminiscent of the fanfare around professional European leagues. Many of Portland’s sellouts can be attributed to the Timbers Army, a supporters’ group that started in 2001 when members of the Cascade Rangers and fans who stood in Section 107, or the “Woodshed” as it’s known, joined forces. The Woodshed is a general admission section on the north side of the stadium where members of the Timbers Army stand the whole match—holding banners, waving flags, chanting, and lighting smoke bombs in celebration. 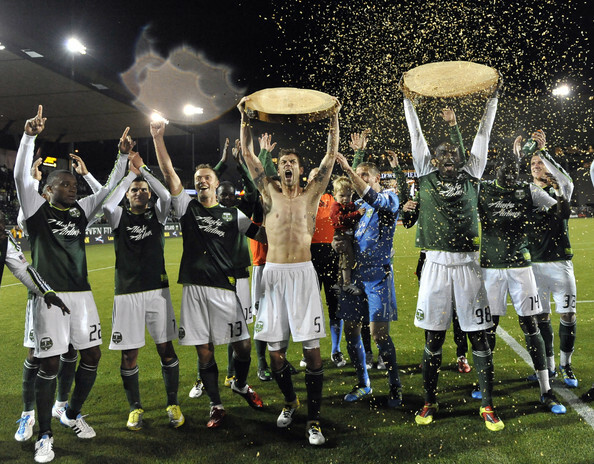 The log slab, a goal celebration during which Timber Joey, the lumberjack mascot, cuts off a slab of a log, is performed in front of the Woodshed as well. 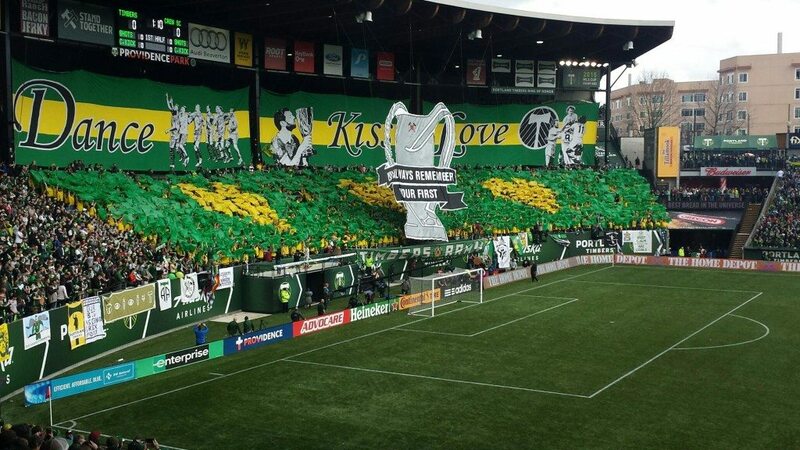 By 2009, the Timbers Army formed the 107 Independent Supporters Trust board to oversee the group’s exponentially growing ranks and increasingly elaborate tifo displays. Sheba Rawson, a school principal by day, is one of 11 council members of the 107IST and first became a fan of the club during its USL days. 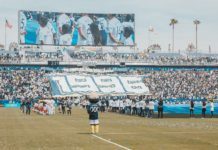 The council ensures the quality and safety of game day operations, making sure the tifo displays are coordinated, materials are budgeted for throughout the year, smoke is procured for goal celebrations, and flags are kept in good order. “There’s also a capo group who works with the drum and trumpet corps on chants and cheers,” she explained. There’s also the No Pity Van they operate, which sells the infamous No Pity scarves, and the council ensures there are ambassadors at each match signing up new additions to their now 5,000-member army. “Community outreach does a TON. 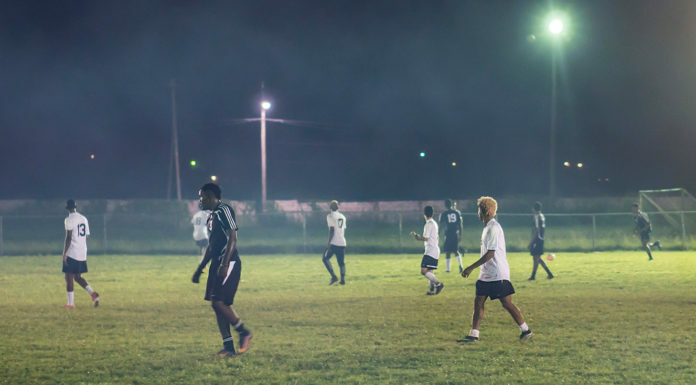 Everything from donating soccer jerseys to high school teams to supporting Operation Pitch Invasion, a 501c3 born from the 107IST that works to build and/or restore soccer pitches in and around Portland,” said Rawson. They have also raised funds for Street Soccer USA and regularly volunteer with local organizations. Another devoted member of the Timbers Army is tattoo artist Igor Mortis, who has been with the group since 2011. Mortis moved from the Netherlands to Portland in 2007 and slowly fell in love with the team. “I just wanted to watch some live soccer, and the Timbers were the closest thing to it,” he recalled. 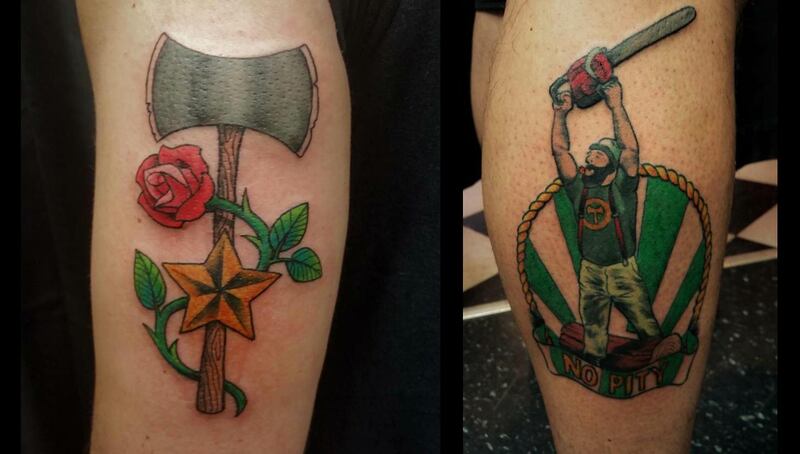 Mortis’ love for the Timbers extends to his craft, as he’s tattooed close to 100 Timbers Army members over the past six years, in addition to several club players. 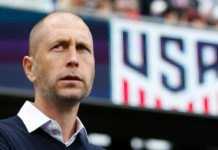 “I have quite a few favorites, but the three that spring to mind are a portrait of Clive Charles as St. Clive, Timber Jim, the original mascot, wielding a chainsaw, and a bare-chested Nat Borchers riding a chariot pulled by four pink fluffy unicorns dancing on a rainbow while he’s holding the MLS Cup,” he said on the tattoos he’s given. While the Timbers Army and the 107IST council have made the team feel at home, the club itself is working on shaping their roster to better reflect the locale. Prior to the start of the 2017 season only one of the club’s draft picks, Darlington Nagbe, had been on the team for a significant period of time. But that pattern looks set to change as the Timbers signed four players from their USL side T2 for the current season. Portland has also put an increased emphasis on signing homegrown players from their academy, such as left back Marco Farfan, the team’s youngest-ever signing and first to be signed to the senior team from the Timbers Academy. Farfan, who was born and raised in Portland, has appeared in four matches for the senior squad this season, in addition to three matches with T2 in the USL. Everything about the Portland Timbers, from the team to the Timbers Army, the 107IST council, and Providence Park, is unique in American soccer. In growing with its community over the past few years, the club has held on to its authentic identity based in history and location, while also setting a model for what soccer can be in other cities across the U.S.—an example for which Portland natives should be rightfully proud. To find out more about the Portland Timbers, visit www.timbers.com.